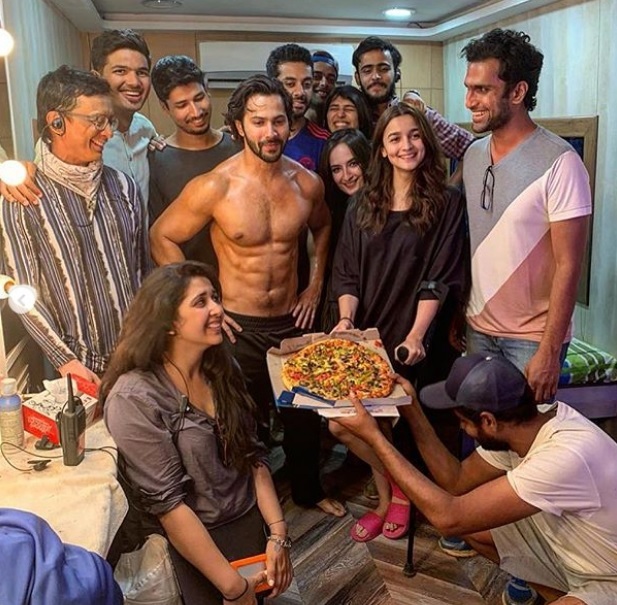 Varun Dhawan announces the schedule wrap of Kalank; team poses with a pizza! Varun Dhawan recently posted about the schedule wrap of ‘Kalank’ via instagram. The actor is seen in all smiles with his bare body posing along with the whole team with a pizza. Alia Bhatt, who will be seen alongside Varun, is also seen in the photo.